Sometimes, it’s just lame to give a gift that you assume a man needs. A shirt, cap, a pair of shoes—they are just all predictable. And what if this man has almost everything? What do you gift him? When it comes to shopping for men, we can become clueless. Some have a monotonous sense of style while others do not like that or already have it. Don’t worry; you can still surprise and impress him with an adorable gift that he’ll remember. Here are ideas for the best gifts for men who have everything. Nothing is more relaxing than a shot of scotch on the rocks after a long, tiring day. If you know someone who loves to unwind like this, wouldn’t it be great to give a gift that will be useful for such moments? 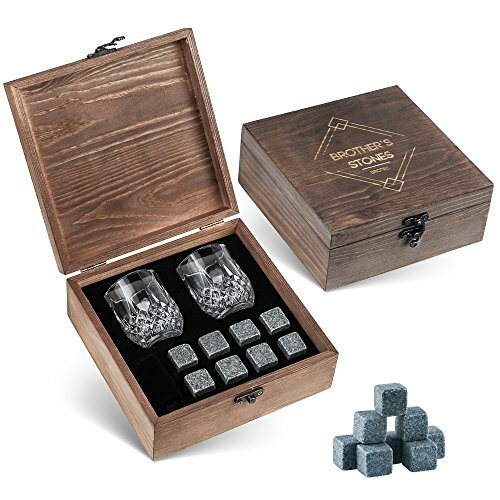 The Brotec Whiskey Stones Gift Set is one of the best gifts for men in your lives who have everything. The gift set consists of crystal whiskey glasses and cooling stones, which he can use for his nightly shot of bourbon, whiskey, or any other liquor or drink. The Brotec Whiskey Stones Set offers ideal cooling. Keep the whiskey ice stones in the included velvet bag and put them in the freezer, and you’ll get perfectly cold drinks whenever you need them. No more watery drinks! Now you can have clean-tasting, cold liquor without altering its taste. Further, this premium gift set for drink lovers includes two crystal whiskey glasses, eight whiskey stones, one velvet bag, and a beautifully crafted exquisite wooden box. The bartender-approved cooling rocks do not scratch the shot glasses and are proven safe to use with proper SGS and FDA certifications. Lastly, the set comes with a one-year money-back warranty—a definite plus for all types of products. The next one in our list is the Elite Sportz Hookey Ring Toss Game. This is a fun gift that will surely keep a man busy and challenged for hours—a great gift idea for a game collector! 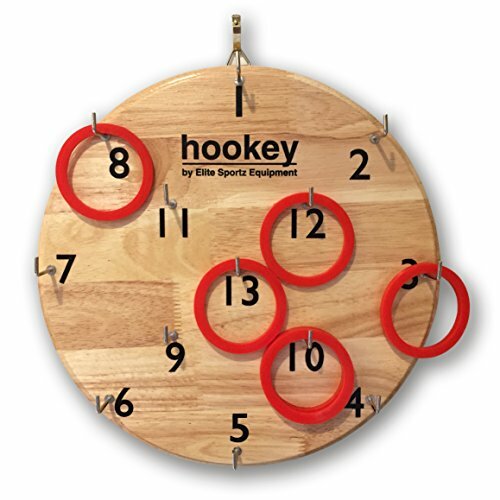 The Elite Sportz Hookey Ring Toss Game is an addictive game that is safer than darts but just as fun. This can be a challenging family game or just a rivalry game during boys-only nights. As a high-quality game set, it comes with a circular board made with sturdy, 20-millimeter thick wood along with six black and six red rings. It also comes with a detailed instruction sheet, is easy to set up and comes with hooks for hanging. The Hookey Ring Toss Game set is more than an ideal gift for men. It adds style to any room or office. Finally, if you are not 100% satisfied with the order, you can return the item and get your money back. The perfect whiskey night consists of the perfectly cold, smooth whiskey in a nice crystal glass. But most of the times, this smooth and strong drink tastes watery because of the melted ice. No man would want a watered down whiskey because of melted ice cubes used to chill the drink. Whiskey stones are the solution for this. This boxed gift set offers useful accessories with a stunning design that makes it a perfect gift to anyone. This premium set includes eight granite whiskey stones that give that perfect chill to whiskey or any drink of choice. Unlike ice cubes, the whiskey stones won’t melt as they make your drinks cold. Just pop the stones in the freezer and wait for at least two hours and they are ready to use. No more watery drinks! You can enjoy great-tasting, cold drinks anytime. The set also comes with two large tumblers, which are ideal for any drink of choice—even juices and cocktails. Similar gift sets only come with whiskey glasses that won’t come handy with other drinks. The Leebs Premium Whiskey Stones Gift Set comes with 260 ml glasses that are perfect for anything. Lastly, the set also comes with a velvet pouch that holds the whiskey stones and a pair of metal tongs. All of these come in a luxurious 9.13” x 7.71” x 4.21” wooden box that makes the set one of the best gifts for men. Now we have presented three of the best gifts for men who have everything. But, which really is the best of the three? In terms of quality, features, and style, the Leebs Premium Whiskey Stones Gift Set is probably the best choice. 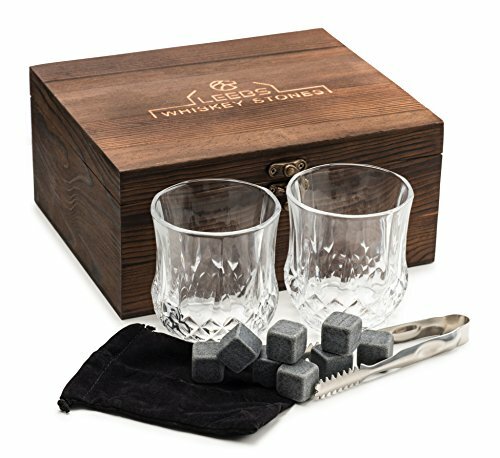 Compared to the other whiskey set, the Leebs Premium Whiskey Stones gift set has larger glasses, which make it more useful even for cooling other types of drinks or liquors. This set also includes a pair of metal tongs which the other sets don’t have. It also comes with a velvet bag, which can be used to store the stones in the freezer, keeping them clean and free of foreign odor and taste. Compared to the other gift suggestions, which is the Hookey Ring Toss Game or the Brotec Whiskey Stones Gift Set, the Leebs Premium Whiskey Stones Gift Set is a more practical choice. The reason for this is that not everyone would enjoy and appreciate a ring toss game, but any man will find the whiskey stones set very useful. In addition to being elegant and the exquisitely-crafted wooden box, the set is also a great decor to any room or man cave. It is like giving him his personal bar—in a box.